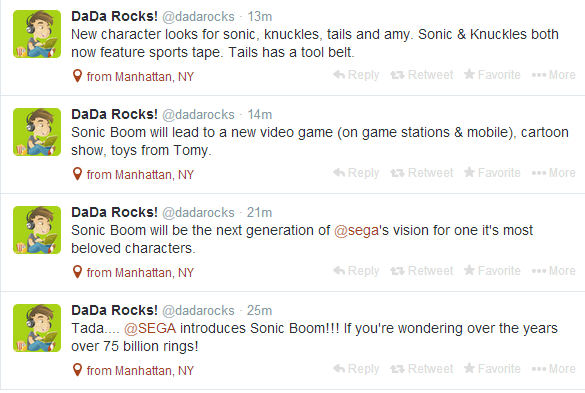 The designs for Sonic Boom have emerged from the Year of Sonic event being held in New York. 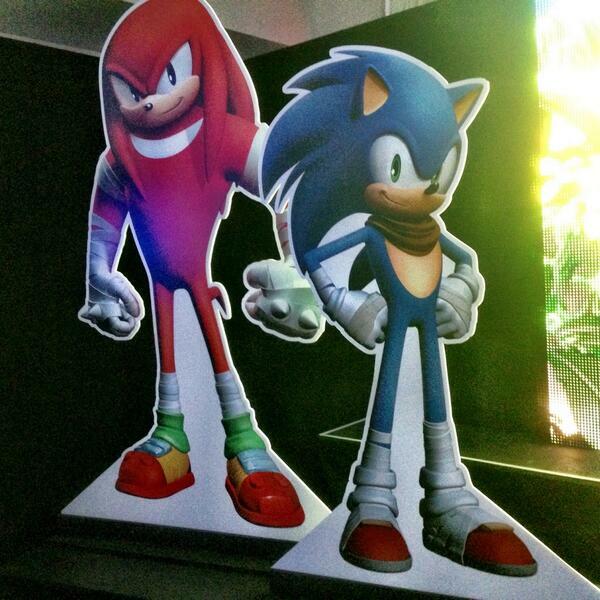 Sonic has blue arms, a scarf, sports tape all over his arms and legs and Knuckles is a giant. So there’s going to be a new console and mobile game, toys based off the show made by Tomy and they will look like that. Although to be fair it could have been a lot worse. Now we don’t know yet if this is the new direction for the series or if this will just be limited to Boom’s universe and the one we know and love will still continue as normal. We’ll keep you updated with more information when we get it. Edit: personally. I kinda like the new designs.